Absolutely! Reiki is a pure form of healing and is not dependent on individual talent. It is taught differently than other healing techniques. It is actually transferred to the student by the Reiki Master / Teacher during an “attunement” process. This process creates a special link between the student and the Reiki source. Reiki is not taught in the way other healing techniques are taught. It is transferred to the student by the Reiki Master Teacher during an attunement process. This process opens the crown, heart, and palm chakras and creates a special link between the student and the Reiki source. The Reiki attunement is a powerful spiritual experience. The attunement energies are channeled into the student through the Reiki Master Teacher. The process is guided by the Rei or God-consciousness and makes adjustments in the process depending on the needs of each student. The attunement is also attended by Reiki guides and other spiritual beings who help implement the process. Many report having mystical experiences involving personal messages, healings, visions, and past life experiences. Minimize or stop using sweets. Meditate an hour a day for a least a week. You will receive Attunement to First Degree REIKI as well as learn the history, principles and ideals of this ancient healing system. You will meet your REIKI Master Guide and learn the basic hand positions for self-healing. We will discuss Chakras, Meridians and Nadis and their relation to the hand positions. Healing of small animals & plants will be discussed. Demonstration and practice time is provided. Includes Manual and Certificate of Completion. You will receive Attunement to Second Degree REIKI; you will learn to activate, direct and apply Second Degree to yourself and to clients; you will learn Distant Healing techniques and an Affirmation Technique to create desired clientele. You will learn about “Cording” and how to remove them. Includes Work Manual, Reference Book, and follow-up guidance. Proof of First degree required. Third Degree Attunement increases the depth, intensity, and effectiveness of the Practitioner’s healing work. This workshop is for the students that have become proficient in their healing skills and show a dedication to healing. Past life healing is included at this level. Integration of the Third Degree Attunement energy can take as long as one year, as it promotes many life changes at a very rapid pace. Includes Work Manual and Certificate of Completion as well as follow up guidance. Proof of Second Degree required. Certain prerequisites apply. When you complete this class & follow-up requirements, you will have all the tools necessary to begin instruction & passing of the attunements for all levels of Reiki. Proof of Third Degree required. Certain prerequisites apply. *Pre-registration & deposits are due, a minimum of one week prior to class date. Reiki is a wonderful healing energy and a great tool of transformation limited only by our minds. Be prepared for change….Especially within the heart. Karuna is a Sanskrit word and is used in Hinduism and Buddhism. It is translated to mean any action that is taken to diminish the suffering of others and could also be translated as “compassionate action.” When individuals experience enlightenment, they report that all beings are known as one. Therefore, it is natural to extend compassionate action or Karuna to everyone without distinction because we are all one. As we help others and aid them in their healing process, all beings benefit. Because of the oneness of all beings, it is understood that Karuna is not only extended to others out of love, but also because it is an entirely logical thing to do. In the same way that you would want to heal your own wounds, you would also want the wounds of others to heal. It is also stated in the Buddhist literature that Karuna must be accompanied by prajna or wisdom in order to have the right effect. Karuna is the motivating quality of all enlightened beings who are working to end suffering on Earth. They continually sent an unlimited amount of healing energy and guidance to us, but not all are receptive to it. As you develop Karuna in yourself, not only are you helping others, but you also become more receptive to the Karuna that is being sent by all enlightened beings. Thus your healing is quickened as well. This class is for anyone who has had Reiki Master training. It is complete with two levels, two attunements, four master symbols and eight treatment symbols. Some students find it more powerful than Usui Reiki! The energy has a more definite feeling to it. It works on the emotional and spiritual levels and also can help one become more grounded. 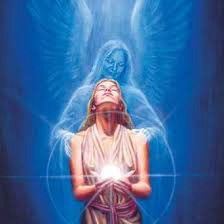 Those who receive the attunements report experiences with their guides, angels, and higher self and feel the healing presence of other enlightened beings. A brief description of the four Karuna® I symbols are given here: The first symbol prepares the client for deep healing and is useful with past life issues. It helps release karma and deeply seated issues on the cellular level. The second symbol heals deeply and can be used to break-up the negative patterns we unconsciously use to insulate ourselves from the truth, thus shattering delusion and denial. It heals the shadow self. The third symbol fills the person with love and restores balance. The fourth symbol completes the treatment by bringing the client back into the body and grounding. The Karuna II symbols are of a higher vibration and more powerful. They help connect directly with the Higher Self and work on a deeper level. While they have specific purposes discussed in class, the experience of their energy allows intuitive guidance in their use. Both levels of Karuna Reiki and both attunements will be given as well as instruction and practice on the use of all twelve symbols. You will be able to teach all four levels of Karuna Reiki®, two practitioner levels and two master levels after taking this class. A certificate and a 45 page manual are included with in depth descriptions of each symbol and each attunement process. You will also be offered the opportunity to become a "Registered Karuna Reiki® Master" with The International Center for Reiki Training. You will then be able to use their manuals and your student certificates will come from the Center. *Class manual and certificate included. The symbols can be used just like other Reiki symbols when giving Reiki treatments. When teaching, you can teach the whole method in one 3 day weekend as described above as long as your students are already Reiki Masters. Or Karuna Reiki® can be divided into four levels - two practitioner levels and two Master levels. A requirement for taking any of the Karuna practitioner levels is a certificate as a Reiki Master. By having and using the Usui master symbol for treatments, it causes the student to be able to hold more healing energy and thus get greater benefit from the Karuna training. Also, it is important that the student realize that Karuna training is not a substitute for Usui Reiki, but the next step after it. In level one, teach the first four symbols from Karuna I, give the practitioner attunement for them and time to practice their use. In level two, teach the second four symbols from Karuna II, give the attunement for them and time to practice. If the person is already a Reiki Master, you can go on to level three by giving the Master attunement for Karuna I, show how to do the attunements for Karuna I, and practice doing the attunements. In level four, give the Karuna II Master attunement, show how to do the attunements for Karuna II, and then practice doing the attunements. The calming practice of Reiki promotes relaxation and confidence. Children are able unplug and get the time they need and deserve to tap into the Universal Life Energy. They enjoy their “me” time and hold on to the lasting effects. The gift of Reiki at a young age promotes a healthy way of living throughout their adult lives, helping them make better choices and create balance. Children of all ages love the energy of Reiki. They know when they want the energy and for how long they want it. Children are sensitive to the energy and seem to take it in at a quicker rate than adults do. They report feelings of warmth and relaxation. To put it simply they think that it is "cool". Kids will receive initiation into the practice and learn to give sessions to themselves and each other. They will receive a Level One Reiki Certificate after the class. This class is designed for kids 4-12 years old! Reiki therapy is safe and non-invasive. It is being used to facilitate relaxation and recovery, decrease anxiety and treat pain. The positive effects of Reiki on infants and children have been well researched in many studies. Among the results of the major studies are: Children and infants who were given Reiki show improved sleeping patterns, diminished anxious behavior and significantly reduced stress indicators such as heart rate and stress hormone levels. Reiki for 5-10 minutes daily can imbibe positivity in your children and make them better person in their lives. It will be able to help them to get rid of any sort of negativity arising in their body. It would be a great activity for them to build a stronger future and become BALANCED & POSITIVE ADULTS.